Well, our trip to Germany did not turn out as great as we hoped. 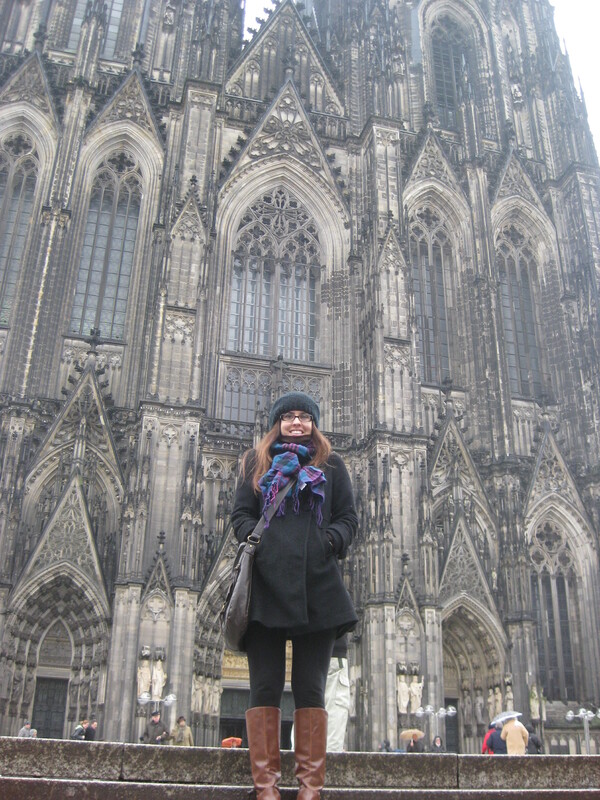 We left very early in the morning, and planned to spend the entire New Years Eve day discovering Cologne, Germany. Unfortunately, it was VERY cold, and very rainy and EVERY thing we planned to see was closed except the Cathedral. The Cathedral was very impressive and was too big to capture in one picture. This picture only shows HALF of ONE of the two parts of the Cathedral. We walked for hours in the rain, and each destination was closed. The Cologne and Perfume Museum: Closed.